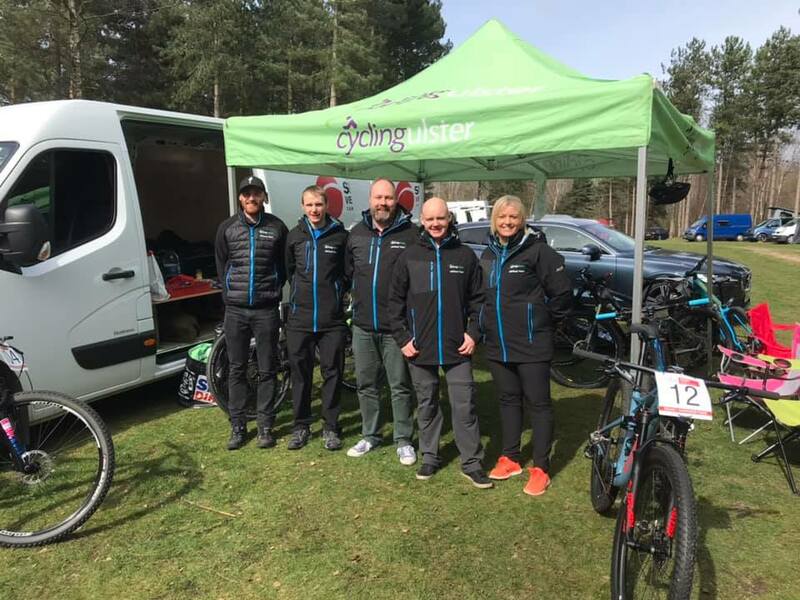 Last weekend saw the Cycling Ulster off-road commission send a team to the first British National Cross Country Series race in Sherwood Forest, Nottingham. 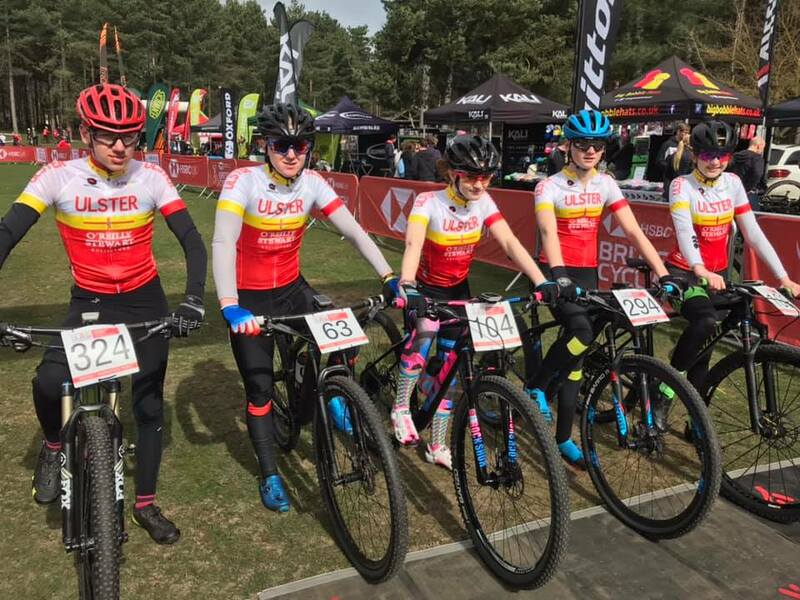 From a pool of ten applicants five riders had gained selection to the team after two selection days and the spring trophy race in Ormeau Park. 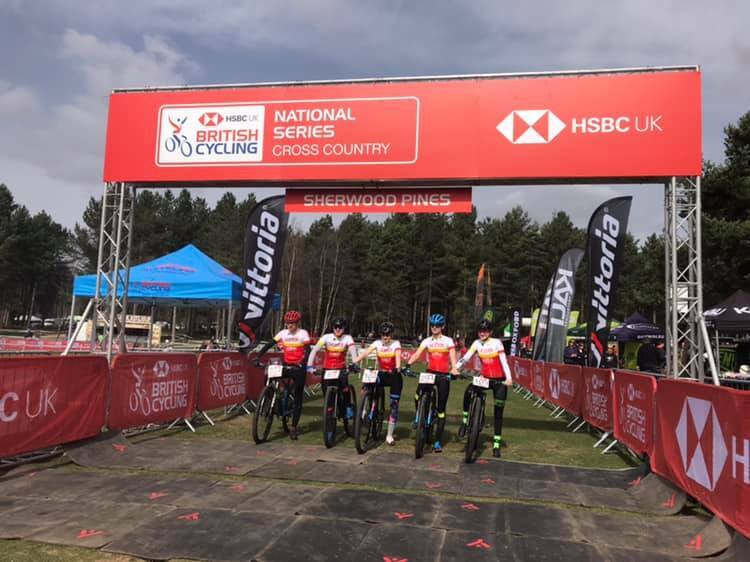 Darren Rafferty and Dean Harvey were both making their debut for the Ulster squad as second year under 16s with Darren fighting for a podium position throughout the race and only loosing out in the sprint to the line, coming home in an excellent 4th place. Dean would follow behind in 18th place, the flat super fast course not playing to his strengths. With 70 riders in the race this was still a strong result. Junior women would see Niamh McKiverigan and Darcey Harkness line up for the Ulster team and both would go on to have a strong race. Niamh in a race long battle with two other riders finished in 7th place while Darcey, a first year junior, followed hot on her heels in 9th. Lee Harvey lined up for Ulster in junior men but unfortunately feeling sick left him battling to the finish in 25th from 35 riders. Lee though is a proven podium contender at this level and no doubt he will return to where he should be at the rest of the races. Also making the journey as independent riders were Luke Murphy for Killarney Cycling Club finishing 9th in under 14 with Travis Harkness for Carn Wheelers finishing 18th in th the same race in another huge field of riders. Aine Doherty making her debut as first year under 14 for VC Glendale as she finished 6th. Cycleology racing has Irish Champion Gareth Mckee racing to 12th in elite with McConvey Cycles rider Graham Boyd in 23rd elite out of 35 riders. Great to see such promise from our young off road racers!